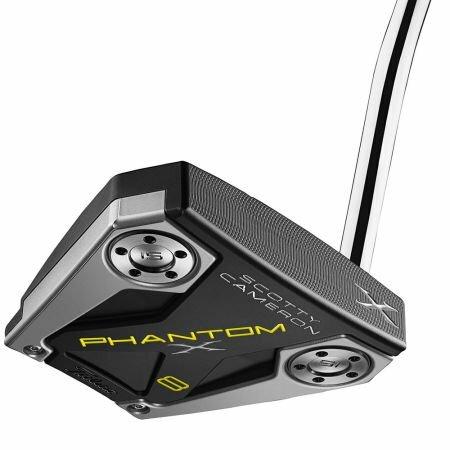 Inspired by touring professionals seeking a putter with a continuous transition from leading edge through the back flange, the Phantom-X 8 is a sleek, face balanced mallet with a single bend shaft. Milled sight dots and neon yellow sight lines perfectly frame the golf ball for seamless alignment. MID-BEND SHAFT TECHNOLOGY - The stepless steel shaft has been engineered to minimize face rotation— or arc —in the putting stroke by incorporating a single “mid” bend aimed directly down the target line.